When I first heard that the Kardashian’s were creating a makeup line, I was half intrigued and half disheartened. That family is like offspring’s of the monopoly guy! Those girls have their hands in everything … jewelry, clothes, socks (thanks to Rob), nail polish, and now makeup. I have watched Keeping Up With The Kardashian’s, and a few episodes of the spin offs, and I don’t have strong feelings about them either way. I didn’t get any of their nail polishes and their clothing line at Sear’s is ridiculously expensive, but I was really interested in their makeup line. Let’s face it, all of them are gorgeous and have amazing makeup, mostly thanks to amazing makeup artists. But if these products have passed their standards and they always look incredible, I had to know what some of the products are like. So far, I’ve heard both positive and negative reviews but I haven’t heard anything about the mascaras. Naturally, I had to know what these were like because I’m a mascara junkie! Keep reading to read my review and see these on my lashes! 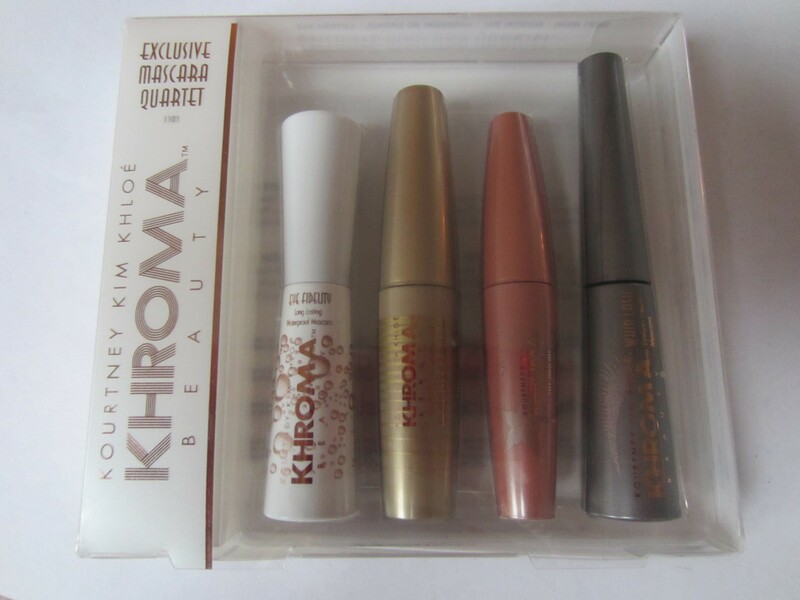 The Khroma Beauty Mascara Quartet is 4 mini’s of the 4 mascaras in the Khroma beauty line. Each one has different functions/formulas, which is a really nice start to a makeup line. Rather than having a mascara that claims that it volumizes, lengths and stays for hours, these mascaras are more simplistic. Eye Fidelity: the brush is a traditional bristle brush but is shaped kind of like a Coke bottle. It has a skinny top and gets thick, then skinnier in the middle then thick at the end. Stroke of Midnight: This is the most traditional shaped brush out of all 4 of the mascaras. Its really similar to the Maybelline Colossal Volume. Traditional bristles that are really big all around the brush. The Quickie! : this is the only rubber brush in the entire quartet. And it is really really long, almost longer than my eye. Also, the rubble bristles are somewhat short. Whiplash: This brush is one of the weirdest brushes I’ve used. Its a traditional wire bristle brush but its shaped like a right triangle. On one side of the brush the bristles go from short to really long but the rest of the bristles are all really short. What I Like: I love how this looks in the up-close picture. It defines each lash and gives my lashes a soft and natural look. It almost looks like I’m not even wearing mascara, which is awesome for those days when all I want to wear is a powder and mascara. 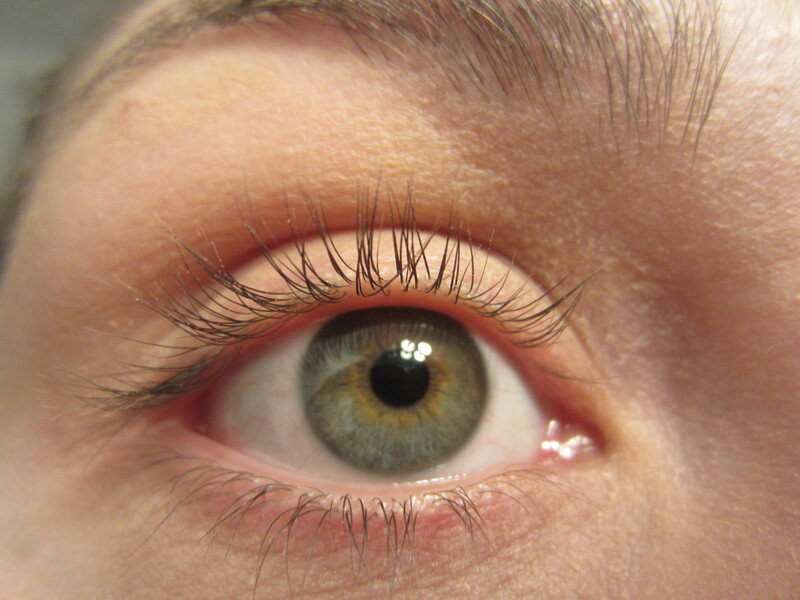 What I don’t like: While this looks good up close, it doesn’t even look like I’m wearing mascara from far away. That can be good for the days that I want a natural look but its awful on the days that I actually want to wear eye makeup. My lashes get lost the minute I put on liner. Also, this is the water proof one and this one is definitely full-on waterproof (aka, its awful on removal). 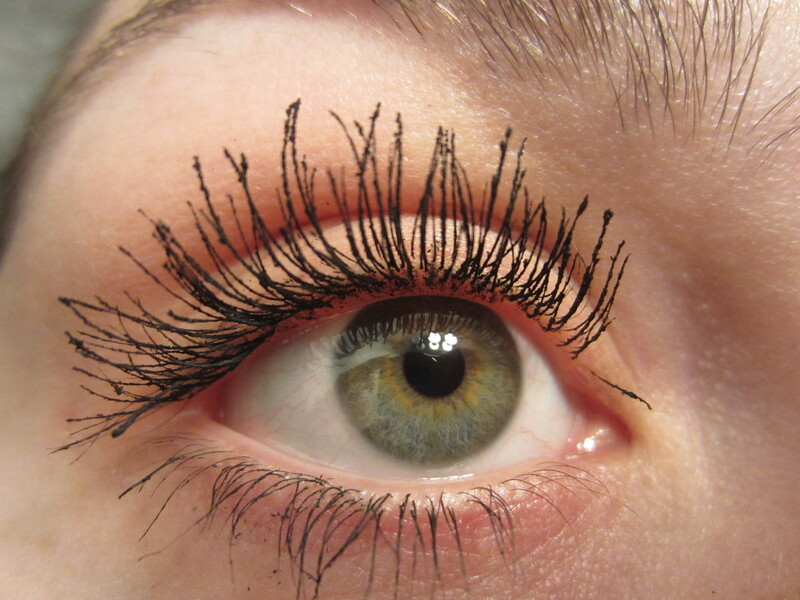 But the worst part of this mascara is that this is 3 coats! This is really dry, really thin, and it barely looks like oyu’re applying anything. It was a labor of love to get my lashes to look this dark and to look like I had any mascara on at all. If I’m going to go through the trouble of 3 coats, I want my lashes to look almost fake. What I Like: This gives me the million lashes look! Literally I look at this picture and am surprised that I even have that many lashes. Also, I love that this only took 2 coats to get this way. It applies really nicely, doesn’t clump at all either and the removal is really easy. 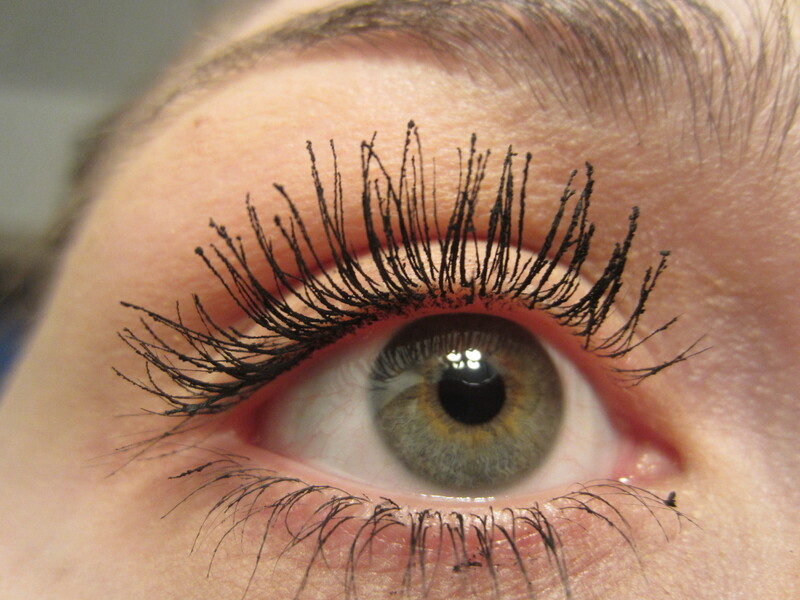 What I don’t like: This mascara flakes, as you can see from the picture. If you touch your lashes while wearing this, you might want to check a mirror to make sure you don’t have little black specks under your eyes. 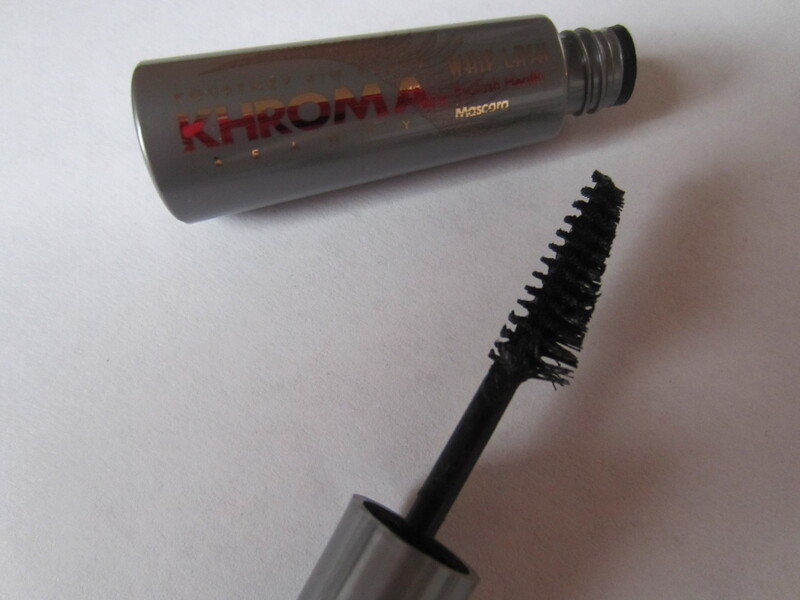 This is a really dry formula,which leads to flaking a little earlier than other mascaras. 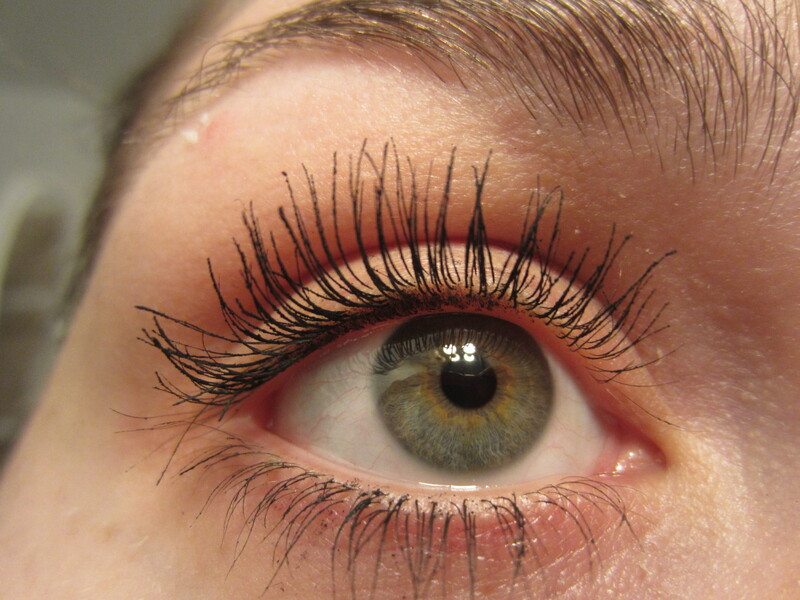 What I Like: The picture doesn’t show this, but this mascara is amazing at curling my lashes. I never curl my lashes but this one did all the curling that a lash curler would. I also love how black the bases of my lashes gets using this mascara. 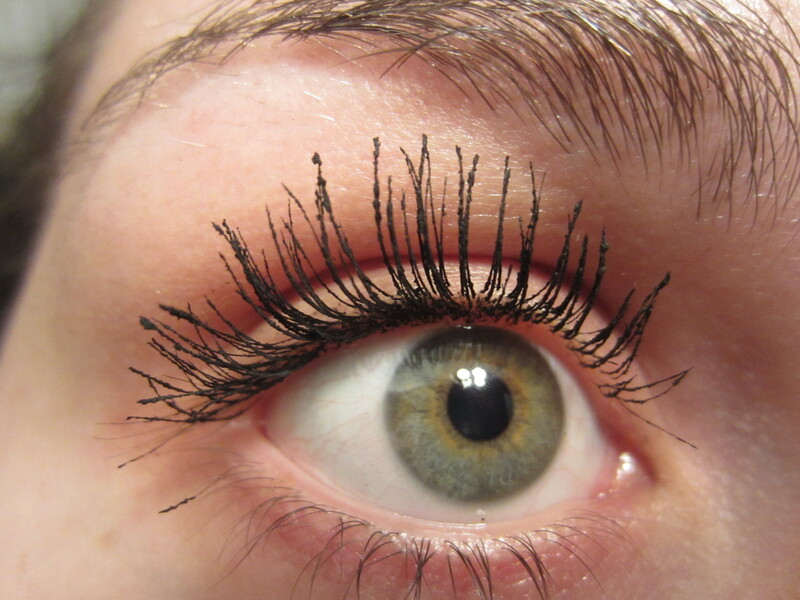 What I don’t like: This mascara clumps the most out of all 4 of the mascaras. The clumping isn’t awful, but I do have to be careful when applying it. Its also the wettest formula of the 4 and the hardest to apply. The brush is so long that it is hard to control and maneuver to get every lash. A ton of product builds up on the tip as well. Also, for a lengthening mascara this doesn’t really lengthen my lashes a ton. 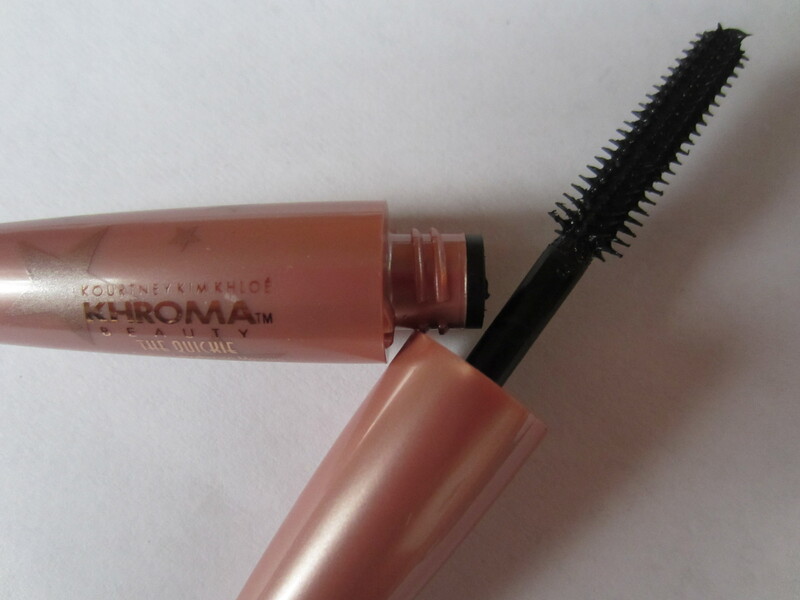 What I Like: This mascara may be my favorite out of all the mascaras in the quartet. I love the million lashes look that this mascara gives. I also love how back my lashes are. Even though this brush is the weirdest out of all them, it works the best at coating every lash and ensuring that I don’t get clumping. Its really easy to apply as well. This has turned into my perfect first layer of mascara and then I layer others over top. What I don’t like: I’ve been using this mascara for a month now and I’m not starting to get some flaking. That is the only negative but that isn’t a negative at all because I’ve been using a mini almost every day for a month and its just now starting to dry out. I think this is a nice little set to try out all of these mascaras! 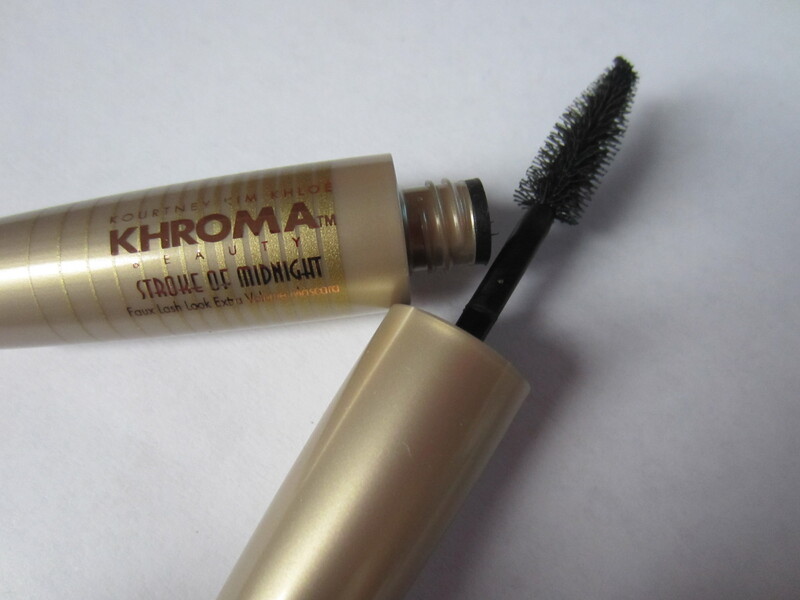 I absolutely love Whiplash and want a full size when I go through some of my other mascaras. I really like Stroke of Midnight as well. Eye Fidelity is ok, but I would pass if you’re just looking at getting 1 mascara. The Quickie! is ok as well, but not my favorite of the 4. I read some other reviews and some people have said that these mascaras aren’t the best for sensitive eyes because they sting. I didn’t experience any of that but I did want to relay that message. Also, these dry out pretty quickly! 3 of the 4 were super dry formulas! 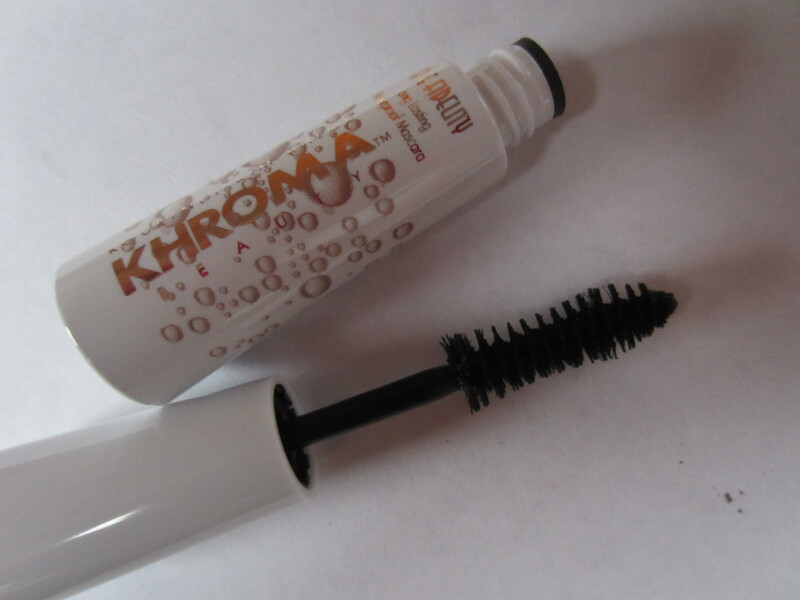 I am really impressed with the ease of the application and I would recommend this to a mascara junkie like myself! I love the effect of Eye Fidelity! You write the best mascara reviews!